BCF :To put a man with PTSD in solitary confinement with barely any contact is a way to drive him insane. PTSD is a condition of high vigilance, flashbacks and episodes of uncontrollable fears. Solitary confinement, with barely any outside contact, also makes people withdrawn, depressed, paranoid or worse. It is a perfect way to break someone mentally. Especially in combination with PTSD. The courts had Tommy’s medical information so they did this with full knowledge. But Robinson didn’t break despite the conditions of his detainment being horrendous. He barely ate due to the potential for poisoning of his food as it was prepared by other inmates of which one in three are Muslim convicts. As a result, he lost 40 pounds. Inmates spat and threw faeces through his prison cell window, causing Robinson to suffer even more, having to barricade his window during the weeks long heatwave in Britain. Being put in a prison is also an attack on people as social beings. Most of us are social creatures and need contact and a social environment to feel well. Hugh Fitzgerald: Muslim Travel Ban? Really? 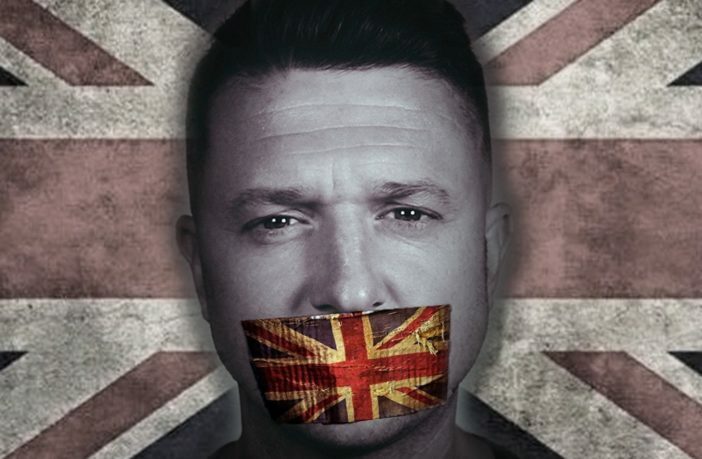 The Torture of Tommy Robinson.